Many fungi colonize wood. These include species of basidiomycetes (mushrooms and their relatives) as well as moulds. Generally, the recovery of basidiomycetes from wood using routine culture-based methods is poor, because many common indoor wood-colonizing basidiomycetes grow predominantly as mycelium and tend not to produce spores on the colony surfaces. 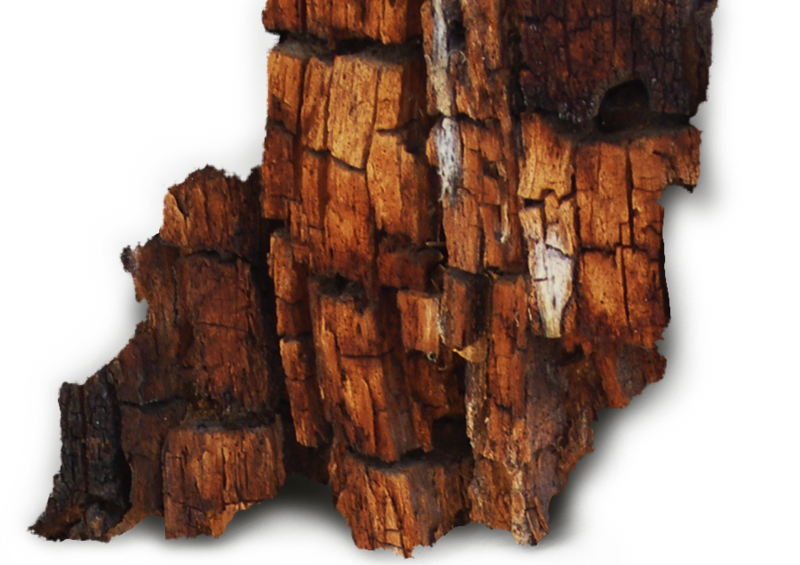 Although it only happens uncommonly, the recovery of even detectable levels isolation of low levels of wood decay fungi by culture methods may strongly suggest an indoor growth source. Moulds, by contrast, typically produce copious quantities of spores on comparatively tiny colonies. For example, a single microcolony of the Cladosporium or Penicillium on a wood scraping may be sufficient inoculum to yield extremely fungal levels in a culture-based test (e.g. greater than 100 or 1,000 CFU/mg¹, or 2-3+ in semiquantitative terms). Despite this seemingly damning report, the objective condition of the parent material might be quite good overall, and generally absent of fungal growth. In this example, a semi-accidental sampling of a single microcolony may be of little relevance to the overall condition of the material tested.